From the moment that District 9 and Chappie director Neill Blomkamp released his concept art for a possible Alien movie, we've been salivating over the possibility of a Blomkamp-directed Alien film. But after saying that he wasn't "ready" to make it, Blomkamp has apparently confirmed it's his next project. "Um... So I think it's officially my next film. 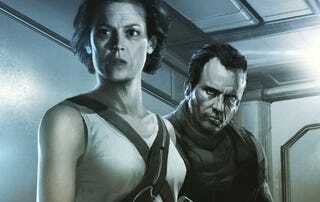 #alien"
Here we go. We're excited by what we've seen so far, and we're excited to see more.